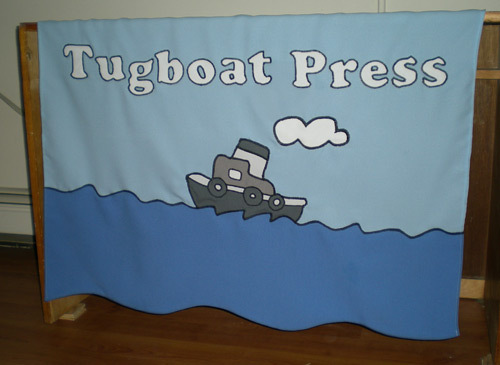 Greg of Tugboat Press commissioned me to make a banner that would go on his table during conventions. He already had a great logo, so I just had the task of turning that into an eye-catching banner. I constructed it out of polyester poplin, so it would be wrinkle resistant and long wearing. Keep an eye out for Greg and his new table banner at the next comic fest in your town. If you haven't read the awesome comics that Tugboat Press has put out, check them out now! Saw this at CAKE, so great!